Cards with prostitutes numbers on them were being handed out in the street to Steve (aged 17 at the time) and Dave (aged 14 at the time). When the guy saw my husband glowering at him, he had the grace to apologise. I can just imagine your husband glowering… It is really seedy along the strip. My wife and I stayed in Vegas a few years ago as we saw the sights. The Grand Canyon was one of them. I found Las Vegas depressing and was glad we only were there to have a place to sleep and travel from. To me it was a sad place and I do not see myself ever wanting to go back. I agree with you and should have approached the canyon from a different city/state. There are so many beautiful canyons all over the west and I have been lucky to see some of them in Colorado and Utah. LOL! Love those emojis! The shot of the crow seemed significant given that I didn’t really enjoy the trip. I just returned from Las Vegas last night. I thought about making the trip to see the Grand Canyon but decided not to. It was very long…and uncomfortable. If you are in the mood, Vegas is enjoyable. Hope you liked your trip. Bad behavior seems to be universal these days. I’ve never been to Vegas, but would like to one day. Okay, I’m waiting to see how the Grand Canyon compares. Las Vegas is the ultimate thing-in-itself; there’s nothing like it, and one simply has determine whether or not all the negatives are worth whatever WANTS out of it — sort of like oral surgery. I’ve been there many times, and always found plenty to detest, but I know enough to ignore all that … especially the people. Well, I have some great shots of the Grand Canyon and when I could get away from people it was sublime. I would not access the Grand Canyon via Vegas on another occasion. We’re fortunate that from here in LA, the route is either a direct drive or a flight to Phoenix, so we dodge the psyche-threatening visits to Vegas, which I haven’t seen in a decade. I’ve been to the Grand Canyon, but never to Vegas. I consider myself lucky on both counts. Love the crow shot. I kind of find Vegas to be overwhelming. We’ve been many times since we live so close, but next time we go we plan to just do a show and that’s it. Walking the strip just takes too much out of us! (Except for M&Ms World. We love M&Ms world). I used to love the old Hilton Star Trek bar but it has gone… I think it is fun to be off the strip and out in the canyons. I think I’d rather read your post than to take that trip. You’re way more enjoyable than the actual experience. I have found that I’m content to live the experience vicariously lately. I’m getting too old, not to mention crabby, to deal with trips to far off places. 🙂 I do think that you’d make a great author of books on the art of traveling. I thought I had replied to this – must be my age! Thank you, Fim. Traveling is not as much fun as it used to be but I do like places that are remote. 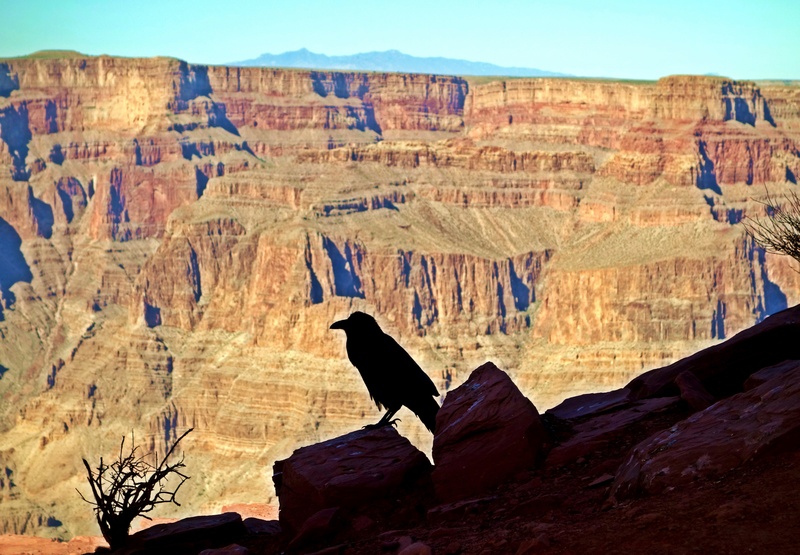 That wonderful photo of the crow at the Grand Canyon was worth the visit! Thank you, Liben. In retrospect it was a good trip with some great photos! Las Vegas is always interesting, so many characters on the streets. Used to be worse. Now the can’t hang around the main strip, they have to rent a little circle in the Freemont area (old Vegas) which is real cool and strut their stuff there. 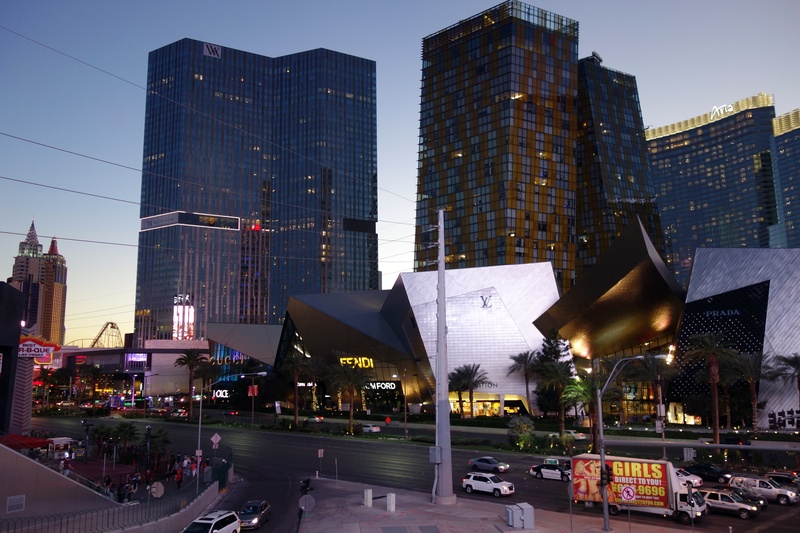 Please don’t let me put you off Vegas – it has many charms and we enjoyed our first visit. Red Rock canyon with the wild burros is amazing and right by Vegas. Interesting, I lived in LA for thirty two years, never went there, blame my Ex. she was a snob, and even after we split, never cared after, I saw her point, a sort of Disneyland for adults, well never went there as a child, even cared less as an adult, in general do not like crowds. I only went to Vegas so I could get to the canyon. It was the cheapest route. Red Rock Canyon right beside Vegas is fabulous with wild burros. Thank you, Donna. Your comment went into Spam?? I am an odd American with a Scottish accent. American Dad/Irish Mum, born in California, living in Texas, brought up in Scotland. Las Vegas is interesting and attracts a wide variety of tourists. The scenery around is amazing so you can always escape the Strip. Well, if Vegas won’t change for me, I’m NOT going to change for it!